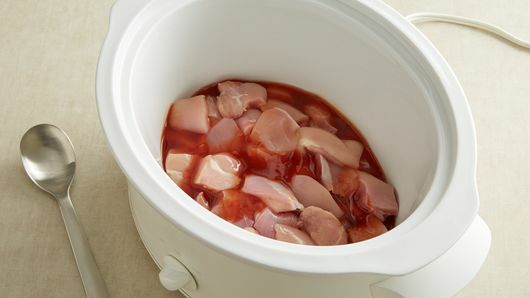 In 3 1/2- to 4-quart slow cooker, combine chicken and simmer sauce; stir gently to mix. Before serving, stir in thawed vegetables. 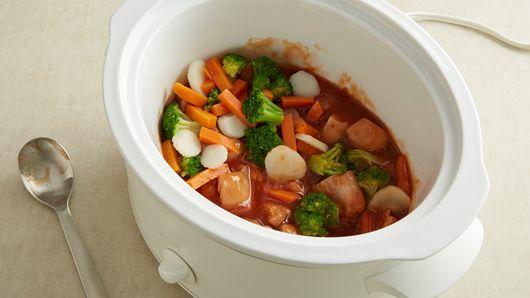 Increase heat to high setting; cover and cook an additional 15 minutes or until vegetables are crisp-tender. Meanwhile, cook rice in water as directed on package. 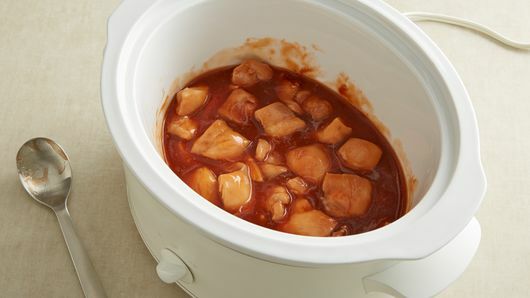 Serve chicken mixture over rice. 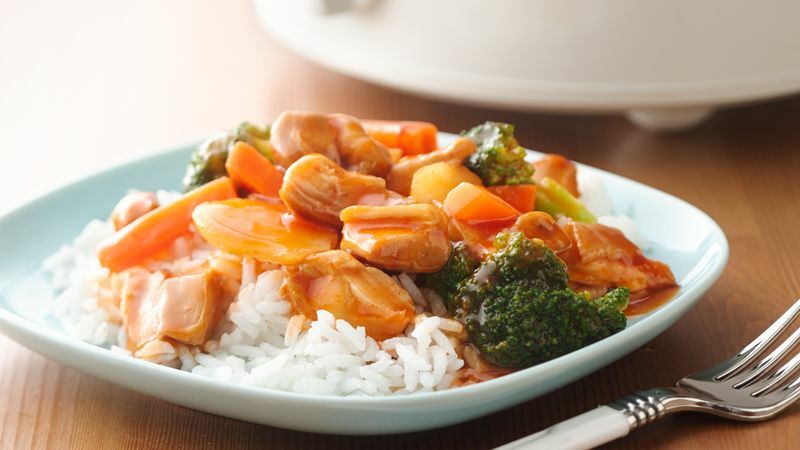 * To quickly thaw vegetables, place in colander or strainer; rinse with warm water until thawed. Drain well.